Who doesn’t want to have smooth and silky hair naturally without applying chemically laden products? Healthy hair has the outer layer with natural oils that provides natural shine and moisture but if it is damaged then it looks dry and dull. The factors causing this damage can be anything including illness, nutritional deficiencies, exposure to harmful sun rays and pollution, etc. But not to worry since your kitchen has all those natural ingredients that give that shine back to your hair. Mix egg white with some olive oil and honey. Apply this to your hair and leave it for 30 minutes and then shampoo as usual with cold water. Mix 2 egg whites with yogurt and almond oil. Apply this and leave it for 30 minutes and then shampoo using cold water. Massage with hot coconut oil to your scalp and hair from roots to tips and wrap it with a hot towel or shower cap. Leave it for 30 minutes and then shampoo. If you want you can also use any other oil and follow the same process. Apply fresh mayonnaise to your damp hair and cover with a shower cap. Leave it for 30 minutes and then shampoo. Mix apple cider vinegar with equal parts of water and rinse your hair with it after shampoo. Leave it for few minutes and then rinse your hair. Mix mashed avocado with olive oil or any other oil of your choice and apply to damp hair. Cover with a shower cap; leave it for 30 minutes and then shampoo. Mix mashed avocado and banana with oil and apply it to your hair. Leave it for 30 minutes and then shampoo. Mix two tablespoons of honey in 2 cups of water and spray this to your hair after shampoo; massage it well and leave it for 15 minutes followed by rinse. Apply yogurt allover your hair and cover with a shower cap; leave it for 30 minutes and then shampoo. You can even mix lemon juice in it . Mix 1 cup of gelatin with warm water and add 1 teaspoon of apple cider vinegar and few drops of lavender essential oil or any other essential oil of your choice. Apply this all over your scalp and hair evenly, leave it for 10 minutes and then rinse well with lukewarm water. 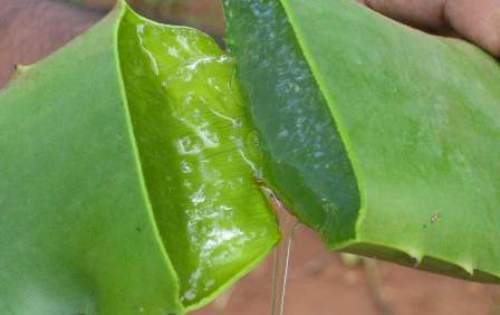 Mix aloe vera gel, yogurt and oil; apply this to damp hair and leave it for 30 minutes followed by shampoo. Mix aloe vera gel with hibiscus paste and oil; apply this and leave it for 30 minutes followed by shampoo. You can do these remedies once a week to treat your hair. Whenever you purchase a hair product, check all the ingredients carefully. Prefer those with natural ingredients. Herbal or organic products are best of all. Avoid using styling chemical products and styling tools as much as possible. Avoid using your flat iron as much as you can and air dry your hair instead of blow dry. Never brush your damp hair since this way you may loose more hair. Be gentle with your hair while brushing or combing your hair. Washing hair twice a week is enough. Do not use shampoo too often. Protect you hair by nourishing and moisturizing well. Trim your hair once in three months. Don’t expose your hair to harsh sun rays and pollution much. Wear a hat or wrap a scarf if you can. Eat healthy food , include high proteins & vitamins and fill out your deficiencies if any. Drink lots of water to stay hydrated. Thank you, so much for such handful tips. These are simple, and easy way to take care of our hair.